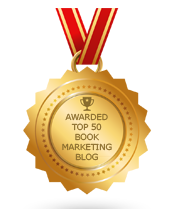 BookMarketingBuzzBlog: Does Book Design Really Matter? Most people enjoy a good book but don’t give too much thought as to what went into designing it. But people like Adrian Wilson, an award-winning graphic designer, cares a great deal about this. He wrote a book almost 50 years ago, The Design of Books, that I happened to discover at the world’s best bookstore, The Strand in New York City. Wilson’s book lends insight to book design, printing, layout, binding, illustrations, typeface and all of the details that go into making great books. He makes dissecting the anatomy of a book an interesting and worthwhile pursuit. The quality of the paper, the size and length of the book, the numbering of pages, the flow from the title page to the colophon, and the actual contents in between can keep some people up at nights. Making a book look and feel as great as the words and images inside is no easy task. Perhaps the book’s dust jacket best represents what The Design of Books is all about. This 1967 book, released in the very year of my birth, gives me comfort. Likely anyone who bought it five decades ago is retired or deceased but some people just starting out in the publishing industry back then may still be involved in their craft today. They’d have to have been pretty good – and lucky – to stick around in a low-paying industry that shed jobs during the Great Recession and several mass consolidations of the corporate publishing world. “Book design is necessary for one reason: to bring to the purchaser a book of the best possible quality for the price he is able and willing to pay," writes Wilson. "This requires the discriminating use of the vast industrial machinery that man has created, the complex web of modern book manufacturing. It is the book designer’s challenge to draw from that machinery a product of precision and beauty. He must, of course, have the cooperation of author, publisher, editor, production manager, and craftsman. But it is the knowledge and imagination he brings to his layouts, and his constant insistence on high standards that will influence the success of the book as a vehicle of communication. I noticed the back cover of the book talked up an entirely other book by the same publisher. Yes, there was an advertisement on the valuable real estate section of the hardcovers back cover. It was pushing John Lewis’ The Twentieth Century Book. It even included glowing reviews from The Daily Telegraph and Publishers Weekly. With this book in hand one should find that the typography communicates, the illustrations greatly illuminate, and the binding quality enhances and preserves the creator’s thoughts. You may even think a little differently about book design as a result.